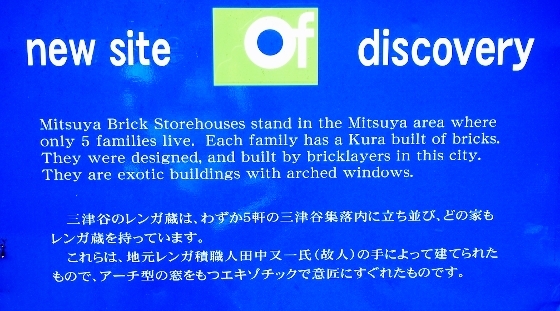 Today, I visited Mitsuya Brick Storehouse Street in Kitakata City as shown above. 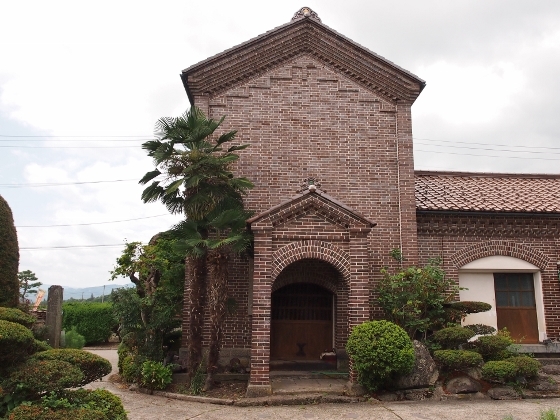 Only five households are in this small Mitsuya hamlet, but each of them has its own brick storehouses making the street exotic. 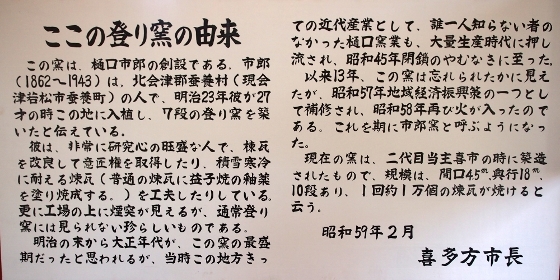 There was a description board in the village which briefly explained about the village as shown above. Two of the brick storehouses shown above are also in the village. The first one is a residence which is called "Kurazashiki". 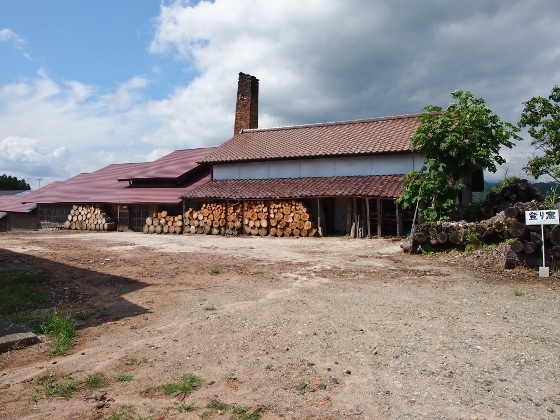 The second one is a storehouse for local field produce. 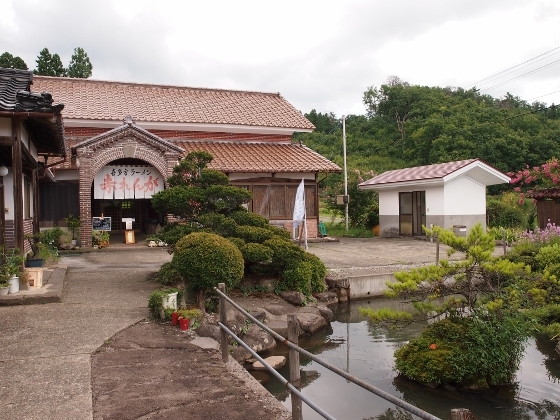 Even a Kitakata Ramen restaurant here was also housed in a brick storehouse building as shown above. This ramen shop is called "Akarenga". I had a delicious Kitakata Ramen lunch (\650) here. Though it was a weekday afternoon, many people had to wait in line. 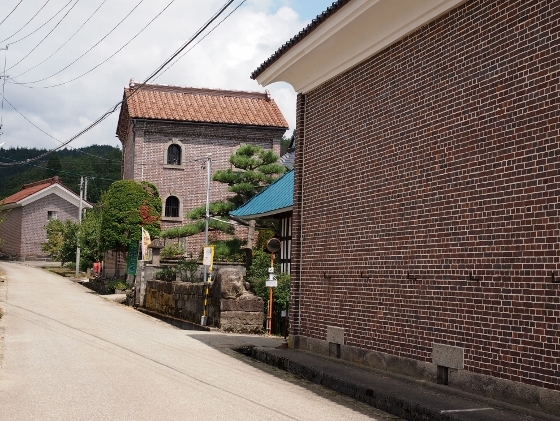 An old ascending kiln called "noborigama" is located near Mitsuya Brick Storehouse Street as shown above. 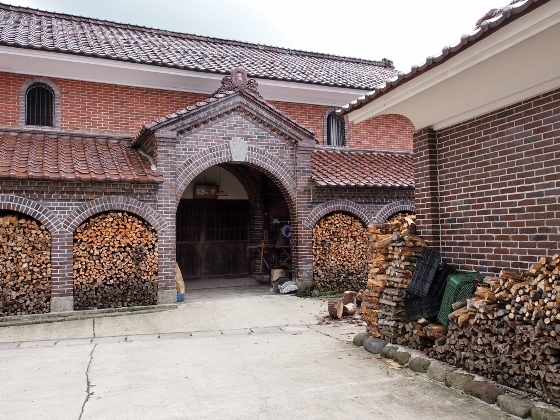 This historic kiln was made more than 120 years ago, and this produced and provided all the bricks in Mitsuya hamlet. Description above tells us the history of this ascending kiln. It was also designated as a Modern Industrial Heritage by the Ministry of Economy, Trade, and Industry. 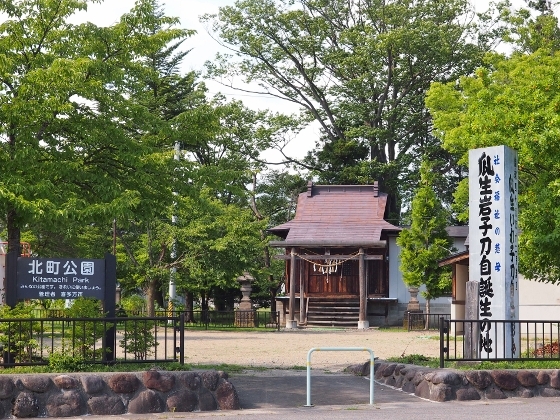 On the way back to Kitakata city center, I found a memorial park for a famous woman Iwako Uryu who was born in this place of the city. Iwako Uryu was born in Otazuki District and after facing several hardships in her youths, she became a merciful nurse during Boshin Civil War, and then dedicated herself to helping socially vulnerable people for the rest of her life. At the park, there was a board which briefly describes her life as shown above. 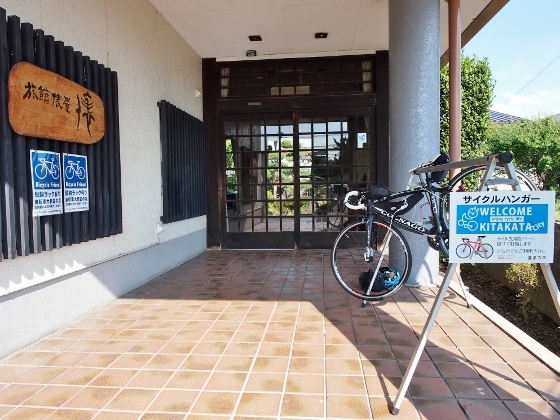 I stayed tonight at Tawaraya Inn located at Kitakata city center. 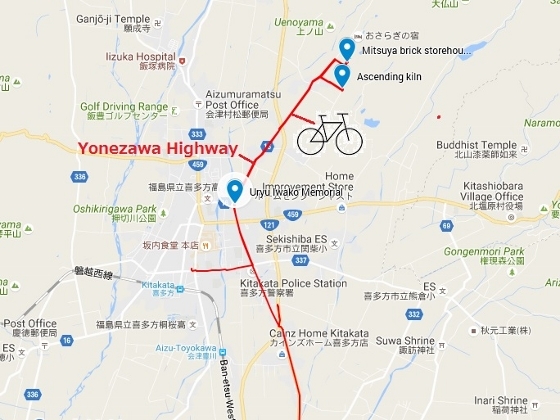 The inn is also friendly with those who travel by bike as shown above. 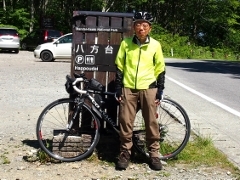 I am expecting to visit Sannokura sunflower field located on the mountainside (ski slope) in the city.